Basler pilot cameras have made headlines recently all due to a group of students at the Technical University Linz located in Linz, Austria. 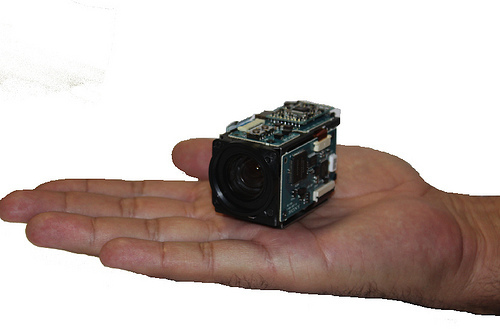 The camera became a great help for the robot arm that the students created as it was utilized as an eye for the robot. Located below, you can watch the video of the arm catching a ball, all with the help of this Basler pilot camera. What does this type of technological integration mean for our future? As you can see in the video, the fluidity of the arm in not only catching the ball but in maneuvering to keep it in the cup, is highly similar to that of a human arm. With the added bonus of the camera this clip is almost reminiscent of the movie Terminator. The camera isn’t just watching the ball in this clip, it is singling out this object amongst all others in the room, adding precision to the overall action. If a camera is able to identify this object it is easy to see that will facial recognition technology that continues to develop everyday, we may very well have a fully active human robot in the next few years that has the ability to fully interact with people and perform actions that any normal person might. While I have a feeling that Mr. Schwarzenegger won’t be popping out of the future as a robot, it is amazing to see just how far technology has come and what path it may lead to. 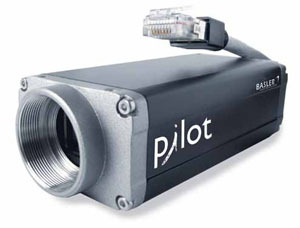 If you have any additional questions about this particular product please visit the Basler pilot camera section of our website or call one of our sales representatives at 888-687-6877.